Traditional accounts of Romantic and nineteenth-century poetry, have depicted John Clare as a peripheral figure, an ‘original genius’ whose talents set him apart from the mainstream of contemporary literary culture. But in recent years there has been a major shift of direction in Clare studies. Jonathan Bate, Zachary Leader and others have helped to show that Clare, far from being an isolated genius, was deeply involved in the rich cultural life both of his village and the metropolis. This study takes impetus from this new critical direction, offering an account of his poems as they relate to the literary culture of his day, and to literary history as it was being constructed in the early nineteenth century. Gorji defines a literary historical context in which Clare’s poetry can best be understood, paying particular attention to questions of language and style. 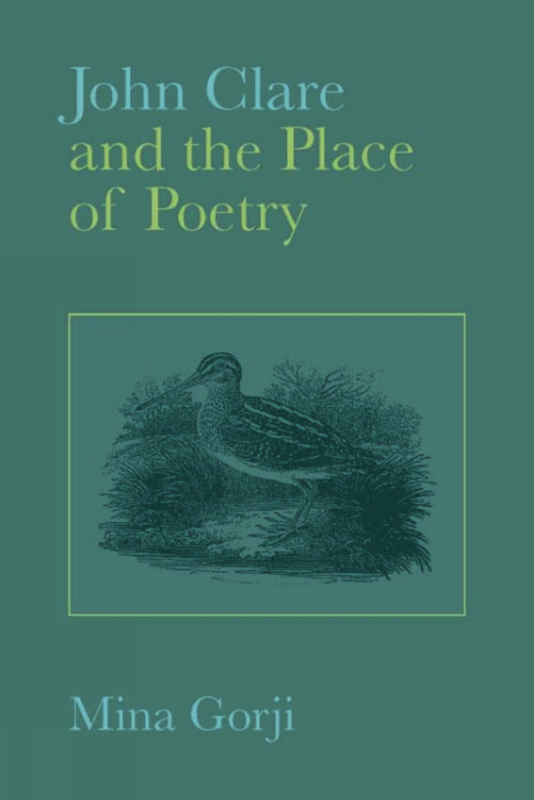 Rather than situating Clare in relation to Romantic poets such as Wordsworth, Coleridge and Shelley, John Clare and the Place of Poetry considers his poetry in relation to eighteenth-century traditions as they persisted and developed in the Romantic period. This timely book is for scholars and students of Clare and eighteenth and nineteenth century poetry, but it should also appeal to the expanding audience for John Clare’s work in the UK and USA. Mina Gorji's study of Clare is by far and away the finest critical account of his work to appear. In her compelling, indeed outstanding, analysis, Gorji shows how Clare's poetry is both vernacular or 'russet', as he termed it, and subtly allusive and complex. Although he was portrayed as an uneducated peasant poet, Gorji is the first Clare scholar to show the extent of his literary debts - debts which show his wide reading in English poetry (he left a library of over four hundred books when he died). Admirers of Clare and readers of poetry, will find their horizons immeasurably broadened by John Clare and the Place of Poetry. Mina Gorji's John Clare and the Place of Poetry gracefully and elegantly combines a number of the most significant strands in recent Romantic criticism. Her understanding of Clare is influenced by the history of the book, studies in print culture, an interest in his social class and his place in Romantic-period literary culture. Gorji combines all of these elements with a surefooted and subtle attention to the details of Clare's poetry, and the book that results is likely to prove a touchstone in studies of Clare for some time. Gorji's understanding of the complexities of Clare's sites of reception is one of the real strengths of the book...The Clare that emerges is as subtle as he is complex: Gorji provides a powerful case for a reassessment of his work. Gorji hears Clare's poetry creatively and she is alert to the music of the verse in a way that makes her explications unique. She makes an original contribution to Clare studies, reading the poet with and against authors that one might never have thought had any more than passing influence upon him such as Daniel Defoe and William Shenstone. ...both distinctive and distinguished. I am glad to have ready it, and can recommend it to the Clare community without hesitation. John Clare’s genius is at last widely acknowledged and we place him high in the ranks of the English poets -- but his 'peasant' origins mean that we still think of him as a one-off, a rural phenomenon outside the literary mainstream. In this groundbreaking study, Mina Gorji disposes of this assumption for once and all... Thanks to Gorji, we can no longer afford to patronize Clare.